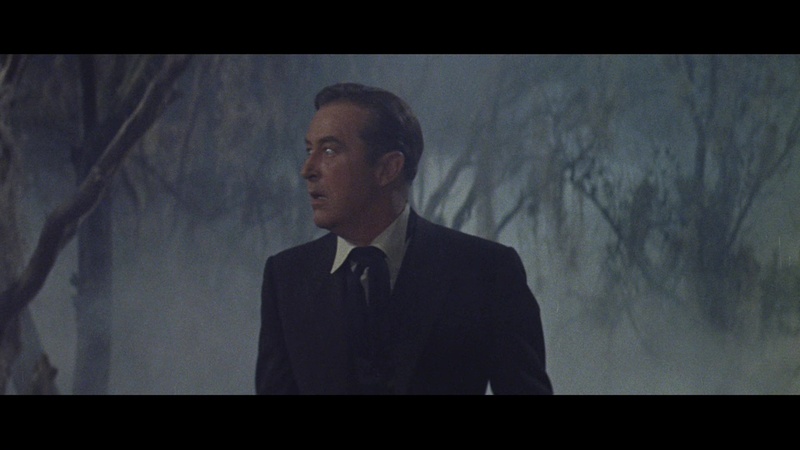 After striking gold at American International Pictures with a pair of Vincent Price-starring Poe adaptations, producer-director Roger Corman decided to go independent for his third Poe outing with a new leading man, Ray Milland. However, a bit of business maneuvering from AIP landed this film back in their laps, returning Corman in the fold to keep the Poe cycle going for several more films. What resulted here was one of the darkest and most subdued entries in the series, a paranoid character study with a particularly grim twist ending and a haunting visual aesthetic loaded with craggy trees and endless banks of fog. 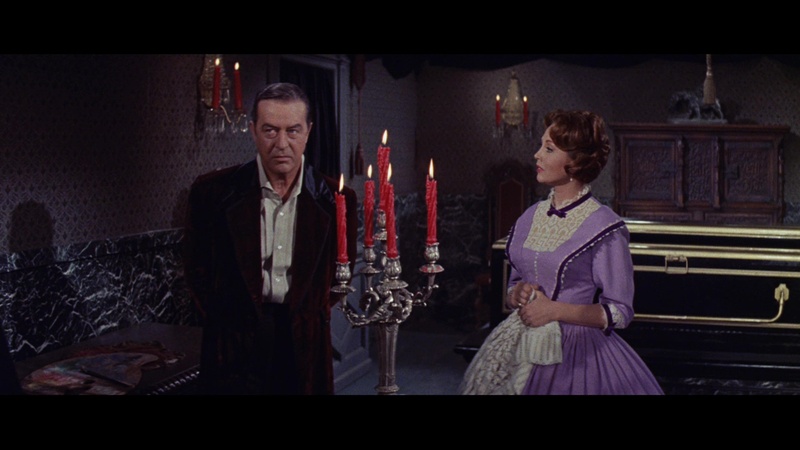 This definitely isn't a film for newcomers to the Poe films, who should experience the theatrics of Vincent Price first before diving into this more challenging and austere production. There's quite a bit to savor here including a literate screenplay by Charles Beaumont (who would go on to fame with The Twilight Zone as well as films like Burn, Witch, Burn and The Haunted Palace) and a terrific music score by Ronald Stein, stepping in for series regular Les Baxter and offering some of the best music in the AIP catalog. However, the show is really stolen here by English-born Court, who was already a horror vet from films like The Man Who Could Cheat Death and The Curse of Frankenstein. She turns on the glamour here and makes for a compelling main character, with demands placed upon her that might have made other actresses balk. 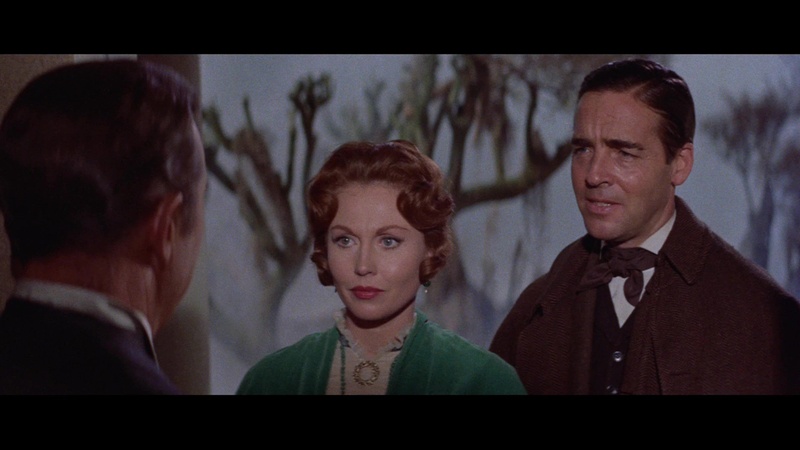 Many critics felt dissatisfied with Milland after the juicier portrayals from Price, but he does a fine job with a somewhat erratic role and would also go on to become a familiar face in several future AIP titles. Oddly enough, this actually marked the second go-round for this story in the '60s after an episode of the Boris Karloff show Thriller offered an episode of the same title in 1960, albeit with a radically different take on the source material. 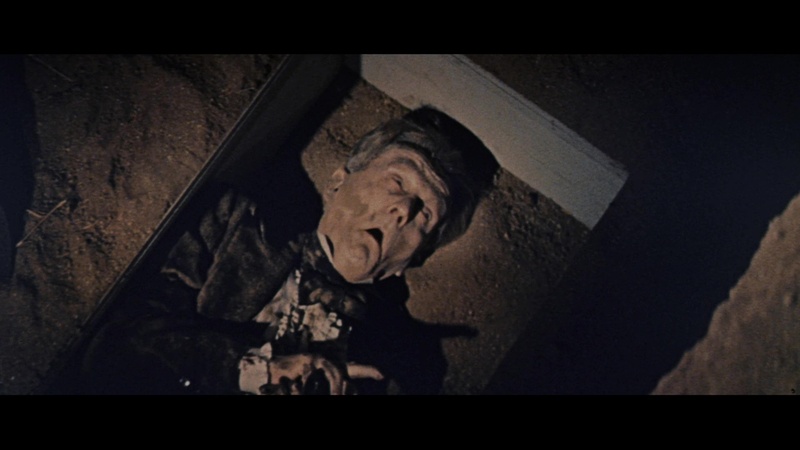 As the odd man out among the Corman-Poe films, The Premature Burial has had a different video history compared to the Vincent Price titles. It first popped up on VHS from Vestron and on laserdisc in a dire pan-and-scan edition (complete with weird pale gray matting for the credits) with a widescreen one eventually following from Image, which was soon obliterated in 2002 by a solid anamorphic transfer on DVD paired up with Masque of the Red Death. That went out of circulation after a few years, but it turned up again in 2007 as part of MGM's The Roger Corman Collection paired up with other colorful titles like Bloody Mama, The Young Racers, and A Bucket of Blood. In 2012, a German Blu-ray appeared with an adequate but flawed 1080i presentation at PAL speed that left room for improvement. Fortunately the 2015 Blu-ray release from Kino Lorber does improve quite dramatically as it fixes those technical issues and offers the best presentation of the film to date. 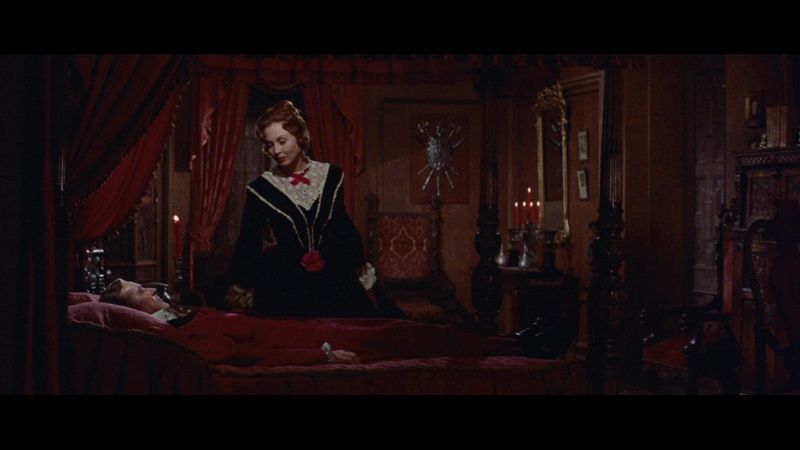 The 1080p image looks very nice with the rusty, morbid color schemes presented with their dark, dank mood fully intact, and the source material still bears the international full title at the beginning rather than the abbreviated one often seen on home video (which drops "The" from the title card). The DTS-HD MA two-channel mono track sounds excellent as well. Carried over from the DVD are the theatrical trailer and a 9-minute interview with Corman about the circumstances behind the making of the film including the bizarre AIP situation. New to this disc is a fun 9-minute HD video interview with filmmaker Joe Dante, a very articulate expert on the Corman-Poe output, who does a fine job of putting the film in its particular place and pointing out its numerous virtues among its more famous companions. Also Dante-related is the version of the trailer presented at his site Trailers from Hell with Corman himself appearing for a thumbnail discussion of the highlights from the production and its place in his career at the time. Very highly recommended for classic horror buffs who might have overlooked this atmospheric little gem in the past. Reviewed on May 12, 2015.